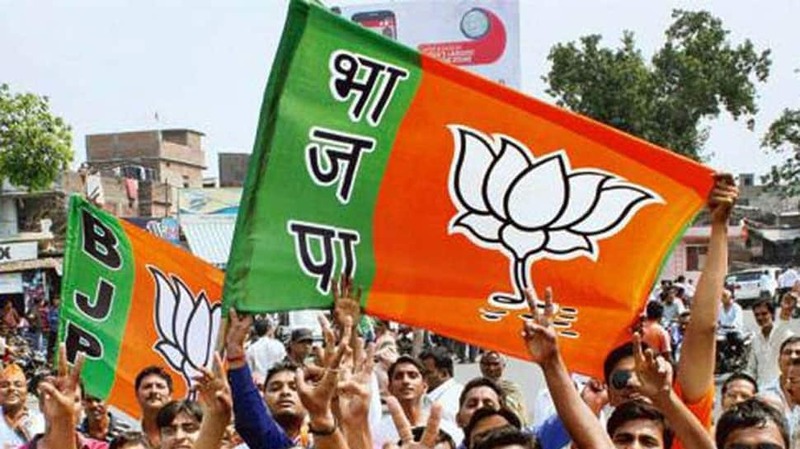 The Bhartiya Janta Party (BJP) on Thursday released its first list of 182 candidates for Lok Sabha poll, including 28 seats seats for Uttar Pradesh. Addressing a press conference, Union Minister and senior BJP leader J P Nadda announced that Prime Minister Narendra Modi will contest from Varanasi, while Home Minister Rajnath Singh will be party’s candidate from Lucknow. VK Singh will once again contest from Ghaziabad, while Hema Malini will be BJP candidate from Mathura. Sakshi Maharaj and Smriti Irani will fight the Lok Sabha poll from Unnao and Amethi respectively. The BJP has not given tickets to six sitting MPs. The party’s MP from Agra Ramshankar Katheria has been denied ticket this time and SP Baghel, who is currently a Cabinet minister in Uttar Pradesh government will be BJP candidate from Agra. The BJP has also decided against giving ticket to Mishrik MP Anju Bala and has given ticket to former MP Shri Ashok Rawat. From Sambhal, the party has denied ticket to sitting MP Satyapal Saini and has replaced him with Parmeshwar Lal Saini. The BJP has also decided not to give ticket to Chaudhary Babulal, the sitting MP from Fatehpur Sikri, and has shown trust in Raj Kumar Chaher. Sitting MP from Shahjahanpur, Krishnaraj has been denied ticket and Arun Sagar will now contest on BJP ticket from this constituency. The BJP has named Uttar Pradesh Deputy Chief Minister Swami Prasad Maurya’s daughter Sanghamitra Maurya as party’s candidate from Badaun. The BJP is still to release names of candidates for 50 more seats in Uttar Pradesh. BJP ally Apna Dal will field its candidates from two seats in the state, which has a total of 80 seats.